Have you looked in the Yellow Pages lately? Us neither. So make sure you have a strong online presence. Start or redesign your own website with Web.Rafe today. Traditional websites won’t display correctly on small phone and tablet screens. Launching an optimised mobile website is becoming increasingly important. The colours and symbols used to represent your business are crucial. Let us guide your decision making in line with modern colour and visual marketing theory. Find an audience for your new or existing website. Increase engagement with real people interested in your industry. We use modern techniques to find real followers. Monitor your audience and market demographics. Track their online activity. Know your audience and engage more effectively, while getting the most from your hosting. Fast and reliable hosting – essential for all websites. Your site will be housed on our SSD equipped VPN to ensure your site is quick to load and available anytime. You’ve worked hard establishing your online presence, now ensure your online audience and new customers can find you. With over 35 years combined design experience, the staff at Web.Rafe are market leaders in design. Competitively priced premium items delivered to your door. Everything from flyers, display folders, logo printed pens plus plenty more. Darkweb / Tor website development, security testing and surveillance, and custom application development are a few of our specialty services. Contact us now to discuss your personal requirements. Need a website quick? Packages are the fastest way to get development started. Or, contact us for a personal quote on website development. For package T&Cs, click here. Brisbane based covers musician Andy R Smith wanted a classic monochrome website, in keeping with his acoustic country singer style. Community run collective based on the Gold Coast, requested Web.Rafe design their logo. This family run Brisbane construction business hired Web.Rafe to complete their first website - image rich with a dark, smart colour scheme. 3D modelling consultancy, specialising in domestic and commercial interior design and joinery. Web.Rafe were contracted to update an outdated website, with this contemporary, responsive showpiece. Perth based internet TV quiz show, centred on a unique time-critical concept. Web.Rafe designed a contemporary site with a black and gold colour scheme, emphasising the concept of time through graphic elements. Web.Rafe were hired to design the logo for Gold Coast based wedding celebrants, 'Hearts and Souls'. Website and Logo design for Australian electronica producers Ma Sheen. 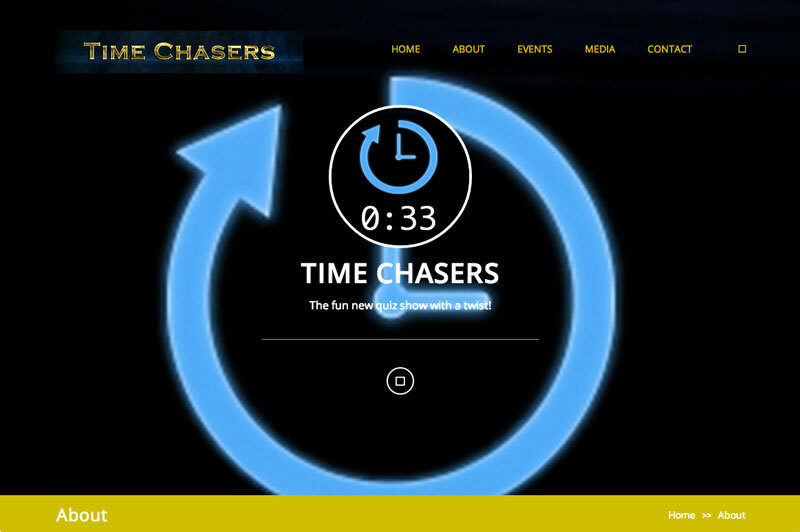 The website is a unique flash animated concept.